Emmett Atwater isn't just leaving Detroit; he's leaving Earth. Why the Babel Corporation recruited him is a mystery, but the number of zeroes on their contract has him boarding their lightship and hoping to return to Earth with enough money to take care of his family. Emmett Atwater isn’t just leaving Detroit; he’s leaving Earth. Why the Babel Corporation recruited him is a mystery, but the number of zeroes on their contract has him boarding their lightship and hoping to return to Earth with enough money to take care of his family. Before long, Emmett discovers that he is one of ten recruits, all of whom have troubled pasts and are a long way from home. 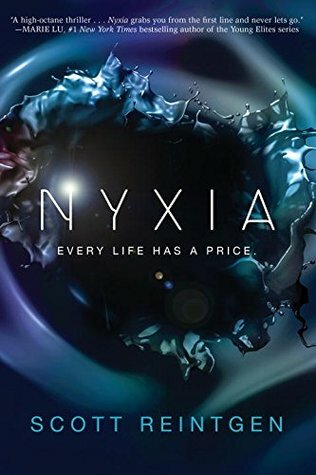 Now each recruit must earn the right to travel down to the planet of Eden – a planet that Babel has kept hidden – where they will mine a substance called Nyxia that has quietly become the most valuable material in the universe.